Infra Red Illuminator. It comes with a rifle mount but as it is a monocular it does not have cross hairs. I have fitted an extended eye cup to it. We'll see how it works at the next Cold War Game! I second that it gets a bit tedious getting shot in the head by snipers! Major General Urquhart: Hancock. I've got lunatics laughing at me from the woods. My original plan has been scuppered now that the jeeps haven't arrived. My communications are completely broken down. Do you really believe any of that can be helped by a cup of tea? Corporal Hancock: Couldn't hurt, sir. He should be fairly safe Gadge.......,,we dont have any snipers! Lol! Dan and i both have Svd's, i have a scope but not sure whether it has ird but i'll check for sure and stick it on the 74 mount, good call Gadge! "i will be bringing my nice shiny new king arms aeg blowback svd, just fitted a tight bore barrel to it, shoots along way on .3's, dont, & will not have a scope on it, as, & this is a purlely personal thing, i dont get on with them on an airsoft gun, am better with both eyes open, like to see were the rounds go, etc. as i said, it's a personal thing, as i know alot of you get on ok with scopes. 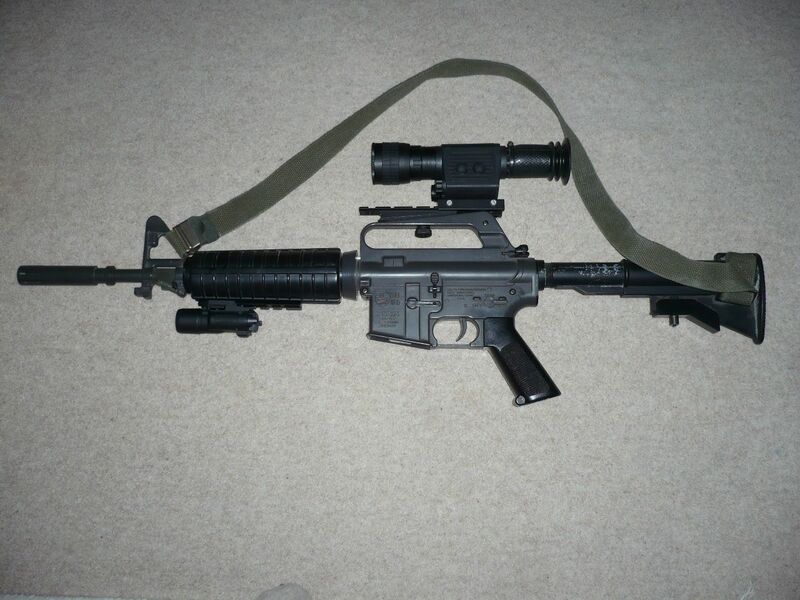 i personaly just dont think airsoft guns are accurate enough to waurent them, for the extra money, weight, etc." Normally i totally agree but for 'filmsim' i always think that if a weapon would have always been scoped in the 80s (svd, m21 etc) it should be if you can for the game as it 'looks' better and makes you feel more in 'the film'. But yeah normally total waste of time with airsoft ranges. The PSO scope also has a fantastic built in range finder as well though so it's *genuinely* useful for spotting as you can tell someone 'enemy troops 400 metres from your position' and not just be guessing as the reticule has a 'ski ramp' in inclements... you line up the height of the taret person or man height object on the ramp and you know exactly how far away they are... with the built in IR detector it makes them *very* useful but it also contributes to real ones being *very* expensive. I got mine for a song but it's worth a lot more than the gun it's on. see what i mean, handy eh? should realy read the title page of the post, before posting! you are talking about night vision scopes, oops, sorry thought you were talking about normal ones, excuse my ramblings! if some one whants to put a scope on my svd, then they are most welcome to have a go with it at night, i will be in my tent gaurding my whiskey bottle from a certain 'secret whiskey drinker', you know who you are! Hahah, yeah, it was more that early soviet PSO sights have built in IR detection so anyone using NV and an IR illuminator has basically strapped a beacon to their gun or head. equally genuine military kit is treated with IR reducing processes (it's why it's best not to wash it too much) whereas civvy/repro market kit doesnt so under NV you really shine. At the Afghan game we were up on cardiac hill for half an hour and through lardys NV and my PSO we pretty much were able to see where most things were, helped that it was a nice clear night. The theory that one man getting back with the documents would be harder to find and recapture is sound if that one man knew where he was going! Obviously couldnt exfiltrate via the same route but made the cardinal sin of not recce ing the return route in advance. edited: for correct timings, had to check my review/notes. Apologies there James, i meant to comment on your post about sights normally being a waste of time (which i totally agree with) but accidentally edited your post. Sorry chap, I wasnt concentrating and hit the wrong button! There was some lights that caused issues with the NV but I think that was security lights. There was one towards the Muj camp that blotted out everything in that direction from the top of the hill. Elsewhere I didn't really have any problems but then I didn't really view your checkpoint from a posiiton where lights would have been a hinderance. If anything they were helpful. Yeah to be honest the lights made the PSO scope almost like a nightsight as any light through a 4x scope is amplified. Like I say, we could pretty much make out the whole place and where people were, it only got confusing once we were in the buildings and lost an overall overview of the complex. With more radios and keeping an observer on the hill it would have been even easier. Basically any light helps gen1, it has to be bright light shined directly into it to hamper it (and quite likely wreck it), it's usually total darkness or near total darkness gen 1 has problems with, hence needing an ir illuminator indoors. And again, the more ambient light the easier it is to see through any binos or scopes in general. It's by no means an amazing improvement but you will get a lot more night vision using a 4x or more than you will with the naked eye. What you really want in those situations is trip flares rather than lights as lights just shag your own natural night vision as a defender. We did find some trip wires on the patrol but negated them. Ah, I might have confused things. I was talking about our "night vision" not nv scopes....to be honest we didn't even know you had nv capabilities. In any event I think you came in through an area that didn't have lights. Yeah ditto that Ade we didn't put out anything of the type so am more surprised we didn't trip over them! When the rubber hits the road, the scenery only changes for the lead dog!